When packing for any kind of trip, whether it's a quick business trip or extended vacation abroad, you don't need to lug a giant rolling bag behind you. 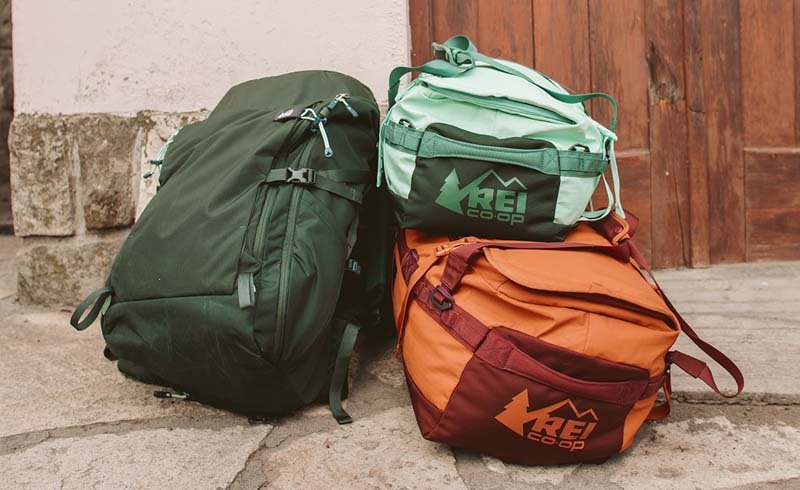 While there are plenty of practical uses for that type of bag, there are actually several more options available to you that could be a better fit for your specific journey. Alternative solutions, such as a travel backpack, or duffel bag offer plenty of storage and some even have a variety of ways to carry them. What Kind of Trip Are You Taking? Some trips involve hopping from plane to train to bus to hostel. You may walk through a train station, over some dirt roads, across beaches, and up hundreds of stairs. So think about wheels versus backpack. Also think through how you'll stow your pack (in the overhead bin), if you'll check it, toss it in a pick-up, or use it for a pillow. Knowing these types of situation will help you identify a bag that adjusts to your situation and environment without hassle. A travel pack is a great alternative to traditional luggage and suitcases, and you may find that it offers versatility that many other bags don't. Travel packs are one part suitcase, one part backpack. In a travel pack, the suspension straps zip into a fully enclosed compartment so you can easily get your bag through security without anything getting snagged. And then when you need to lug it over a cobblestone road, unzip and toss it on your back. No more bump, bump, bump, bump, as everyone in town watches the tourist make an entrance (including any nearby pickpockets). Remember, travel backpacks are built specifically for travel, so many have a bottom compartment for a sleeping bag, RFID protection, and other smart features. Traditional rolling uprights are great for long airport corridors and other flat surfaces. But as soon as your trip takes you along rougher terrain or even city streets, suddenly those wheels aren't as useful. 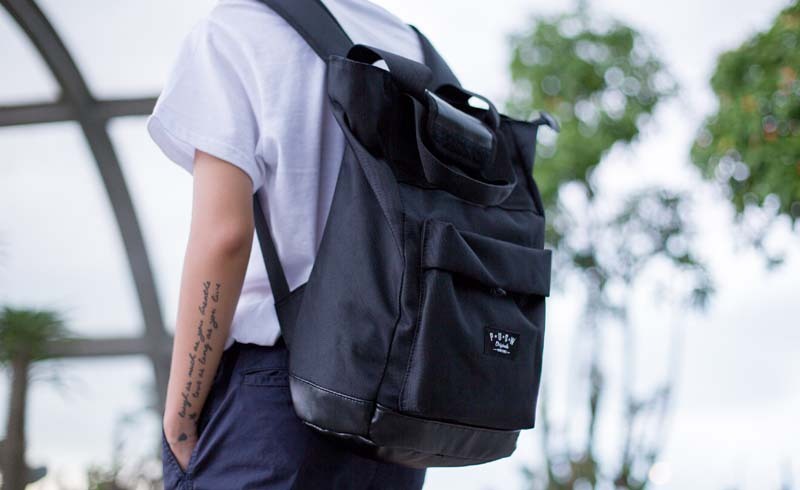 Backpacks, however, let you easily carry the load on your back – the strongest part of your body, so you can free your arms and stay on the go without being slowed down by your luggage. If you tend to venture beyond slick airport floors and shiny new hotel lobbies, a bag that’s adaptable enough to quietly transition to your destination can help you travel with less fuss and fanfare. Traveling exposes us to a plethora of new experiences. It’s what makes it so special and how we're completely defenseless against the travel bug. And as sad as it is, all trips come to an end. In order to preserve the magical memories of an adventure in a new place, we often acquire new items to remember our trip by. Whether you pick up clothes in the local style or a Christmas ornament, don't forget to plan for the luxury of extra space in your bag. Keep this in mind before you leave: If you have to sit on your bag to get it closed, you aren’t likely to fit anything else you pick up during your trip so make sure you get a bag that offers plenty of room to give you the freedom to indulge in new treasures. A good travel pack has a place for everything, especially hidden places for all-important documents, passports, and cash you’ll need at the local food stalls and for tipping. For this trip, you're less likely to need the versatility of features and more inclined to need something built especially for hiking. A bag designed with practicality in mind can easily hold your essentials but is also rugged enough to withstand the elements. Finding the right gear usually means finding something designed specifically with your needs in mind. Unlike a leisure trip, hiking tends to require unpacking your bag only at the end of the day when you arrive at camp. For this reason, it’s important to make sure you pack fits comfortably. In fact, we think it's more important than getting something with tons of different compartments and zippers. A good travel backpack will have lightweight water-resistant fabrics and a suspension system to keep the weight evenly distributed. (This part is important, because the design of the travel backpack will prevent unnecessary strain.) When you’re carrying everything you need to survive on your back with you wherever you go, having the right bag can make all the difference. Some travel backpacks are designed with a removable daypack or waist pack. This gives you the freedom to leave the bulky stuff behind without sacrificing all of your storage. You can easily take the smaller pack out during the day and still have what you need. However, when you’re traveling in busy urban cities, it’s best to not keep anything important in these detachable packs. It’s all too easy for a pickpocket to zip the entire thing off and get away with it. Backpacks have extra handles on top and on the side, giving you even more ways to carry and handle the bag for easy grab-and-go. When you’re in a hurry to make a last-minute flight or trying to get off the train in time to make it to the next one, it’s helpful to have easy ways to grab your bag and go. Make sure to figure out what kind of handles a bag has and how many. You’ll also need to factor in what your primary mode of transportation will be. If you’re going to be taking a series of trains, grabbing and going might be critical to successful transportation during your trip. Did you know there's such a thing as a wheeled backpack? It's true. And we love them. Wheeled backpacks offer great flexibility every time you travel. Whether you are in an airport, train station, or walking along a dirt road, you'll have the option to roll or carry. And we like options. Your Turn! Are you a travel backpack aficionado? Share your best tips for finding the perfect travel backpack. Leave a comment below and help your fellow travelers out.